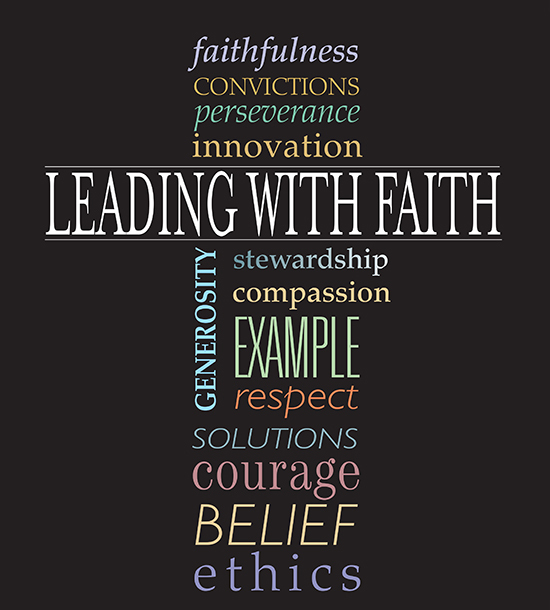 2014 marks the 13th year the Archdiocese of St. Paul and Minneapolis is honoring Leading With Faith Award winners — men and women whose business practices reflect the teachings of Jesus Christ and the Church. This year’s winners are from a variety of fields — theater, education, finance, medicine, transportation, restaurants and insurance. Nominations were solicited from throughout the archdiocese. Winners were selected in each of the three categories: large business, small business and nonprofit organizations. The winners were honored at the annual Leading With Faith luncheon Aug. 14 at St. Catherine University in St. Paul. Archbishop John Nienstedt presented the awards. Read more about each of the winners.